Restaurant owners are feeling the IoT revolution right now. According to Upserve, 32% of restaurateurs admit that they're behind the times when it comes to technology, but the future of food service is reaching a tipping point, and few restaurants today are able to operate at a profit without a POS system. 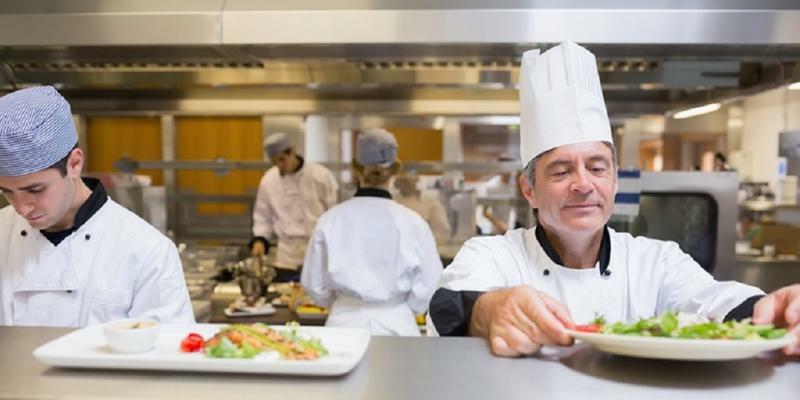 Multiple technologies have reached a plateau where numerous devices and sensors can all be connected by the Internet of Things and restaurateurs stand to profit. The IoT is a network of dedicated physical objects, each containing embedded technology that is capable of sensing / interacting with their internal state, external environment, or both. The ability to take instability out of cashflow, and engineer scalability can provide an easy path to build infrastructure over time and create streamlined processes that deliver exponentially better results. Gartner estimates that by 2020, there will be over 20 billion smart devices transmitting data to users, analysts, the cloud and each other. Safety and cost-saving benefits of IoT devices in restaurants are driving the finally widening acceptance and adoption of this new technology. According to Ray Almgren, chief marketing officer at Swift Sensors, "It's difficult to imagine any restaurant that wouldn't benefit from a low-cost, 24/7, real-time temperature monitoring and notification system. Over time, all restaurants will deploy this type of technology to improve their operations, and soon regulations and health departments will require it." IoT restaurant technologies can incur a capital expenditure but will rapidly earn back their cost with the added value to the restaurant. Those who fail to embrace IoT technology risk being left behind, incapable of matching the competition when it comes to interoperability between products. IoT connected devices can swiftly and competently standardize, maintain, and assure food safety, compliance, and energy management. Tableside POS can anticipate, track, and respond to diner preferences and communicate needs to kitchen and waitstaff with no delays. Interconnected sensors that can seamlessly communicate with each other through wireless communication, and which require minimal human intervention, can be managed from a smart-phone, giving owners and managers the capability to keep wheels turning smoothly from anywhere, at any time. Data can be gathered pertaining to the efficiencies of each component of your IoT network, and every aspect of an operations empowered. Tracking and refining workflows can help identify best actions for daily operations, inventory, resource and energy management, speed and accuracy of service, quality and safety of food, wastage disposal habits, and equipment maintenance. Data analytics can help optimize processes and raise quality, driving unmatchable efficiency and increase levels of both economy and customer service. An IoT connected commercial kitchen utilizes multiple sensors to gather data, a (usually cloud-based) gateway to harvest said data, a (also normally cloud-based) platform to store, collate, microsegment, analyze and interpret the data, and an application that runs both on desktop and as a mobile app to control the entire operation and issue directives. Sensors can be attached to coolers, freezers, ovens, hot boxes, and cooktops. They can track and monitor temperature, humidity, water presence, activity, and more. Each piece of data and type of data and originating collection device have unique identifiers. The data can be immediately transmitted in real time across a secure network. Owners and managers can set thresholds and alert parameters and choose to receive real time notifications via phone call, text message, or email if parameters are exceeded or thresholds breached. POS data can drive better customer interactions, increasing average table or customer spend, and suggesting up and cross sell items as well as enhancing customer experiences by creating more streamlined, less frustrating, and highly gratifying experiences. Operational efficiency, productivity, marketing and resource utilization can be improved. Security, employee and guest safety, and the guest experience can be enhanced. The common thread is controlled interactions between all programs, leading to an ambient intelligence that can react and adapt to a constantly changing environment. IoT connected devices can maximize asset life cycles via remote monitoring of all equipment. By troubleshooting potential problems before equipment failure, and scheduling reminders for maintenance, costly repairs can be avoided. Refrigeration monitoring and tracking of other temperatures can allow leveraging of real time, crucial data, with escalating alerts if food storage parameters fall outside of acceptable ranges for compliance with food safety regulations. Each shelf and section of a smart refrigerator can become its own unique environment, and track temperature, humidity, ventilation, and available space as well as which items or low and may require restocking. 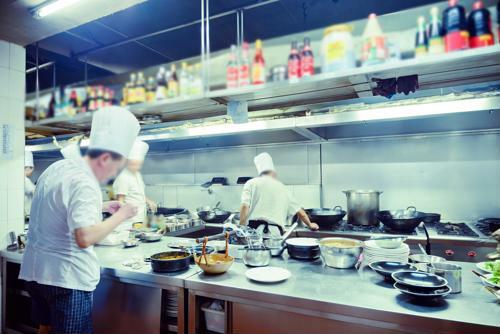 In order to effectively integrate IoT enabled devices and data analysis into a restaurant, complete confidence in ongoing connectivity is a must. Perle provides the hardware to enable the critical network infrastructure required for uninterrupted data streaming and monitoring. Connect with us today to learn more about how we can help your restaurant move into an IoT-enabled future.